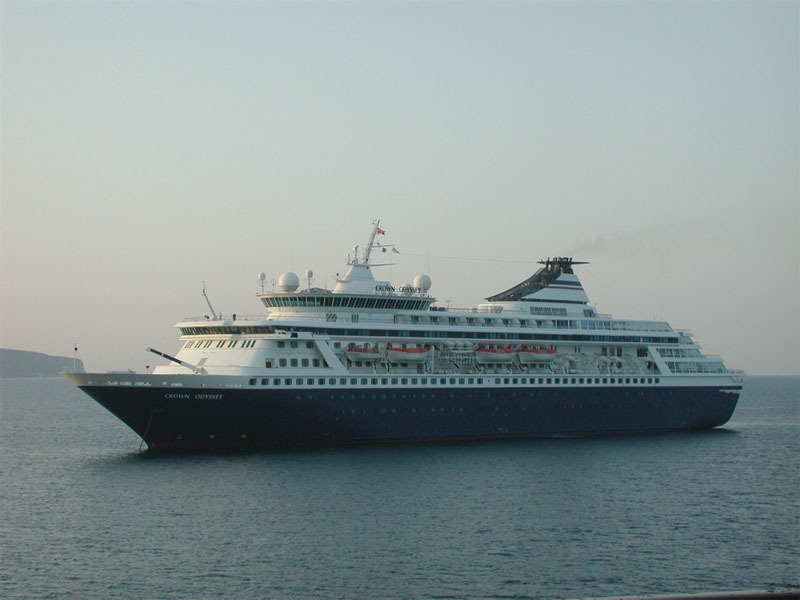 Steel twin screw motor vessel built in 1988 by Jos L Meyer Werft, Papenburg, Germany (Yard No 616) for Royal Cruise Line, Piraeus, Greece . Launched November 1st, 1987. December 28th 1987 – December 31st 1987: Sea trials. 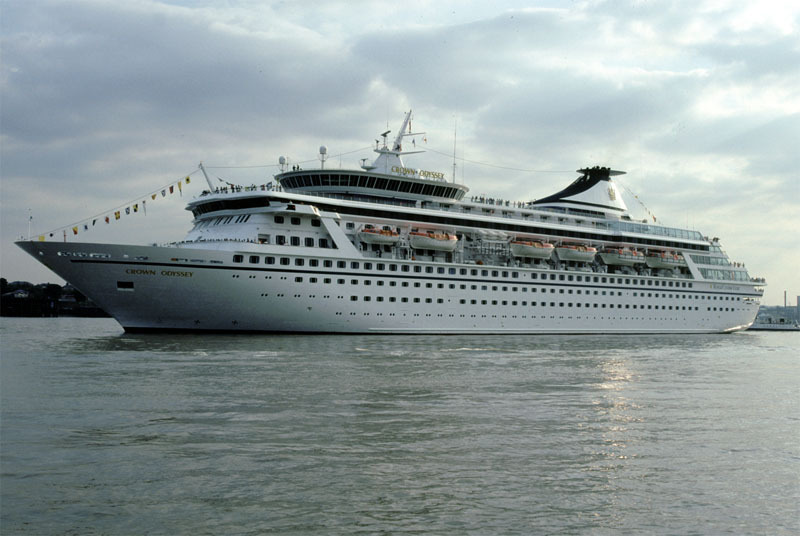 June 1988: Delivered to Royal Cruise Line, Piraeus, Greece. 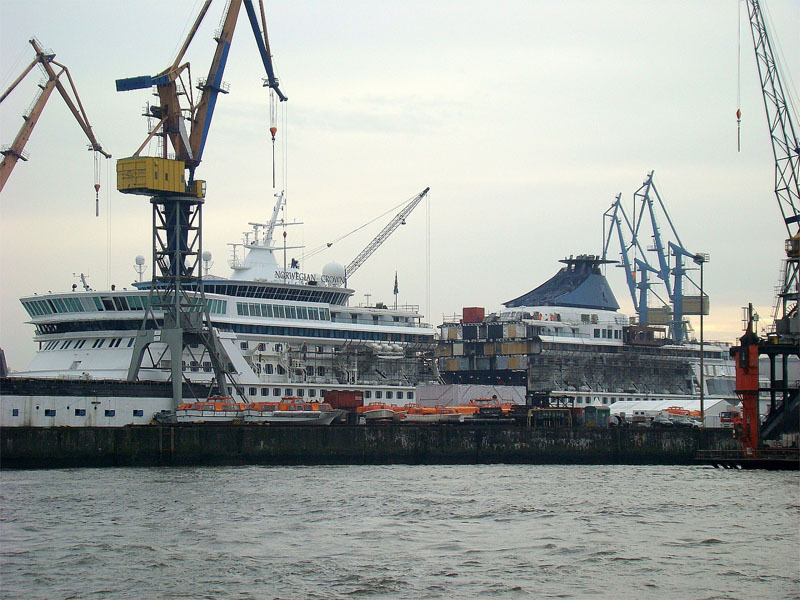 June 4th 1988: Crossed from Emden to Tilbury. June 7th 1988: Commenced cruising. 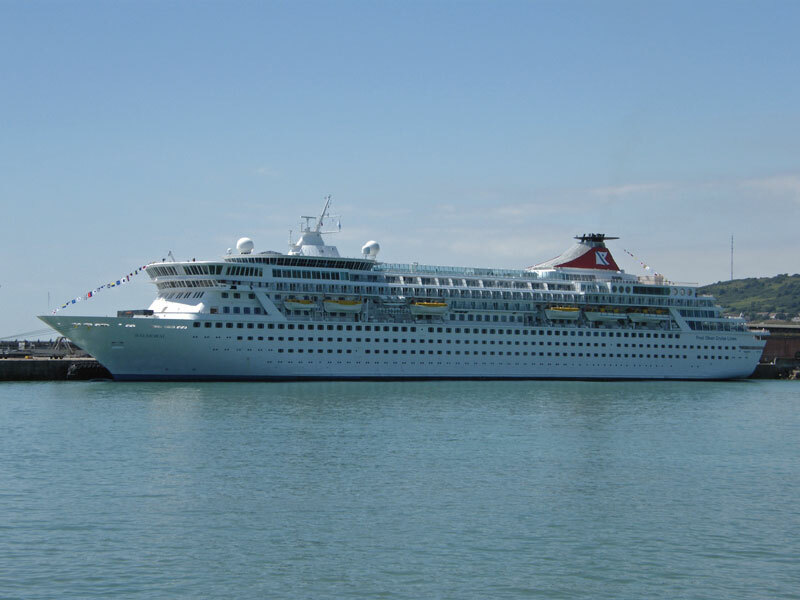 1990: Registered to Bahamas flag, home port Nassau. 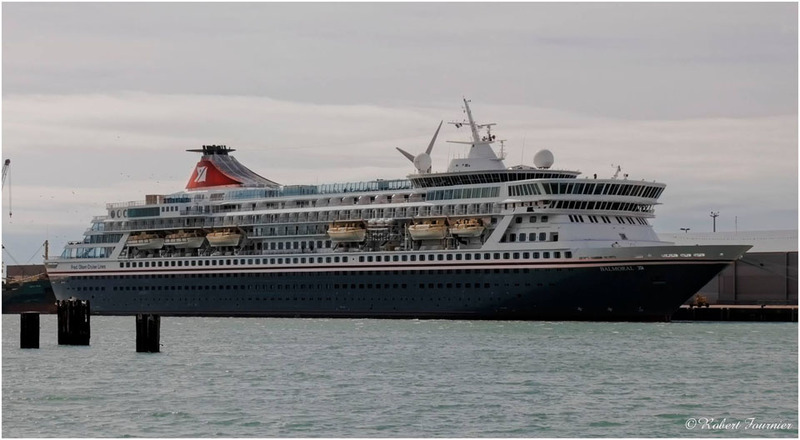 1992: Sold to Kloster Cruise, Nassau, Bahamas. 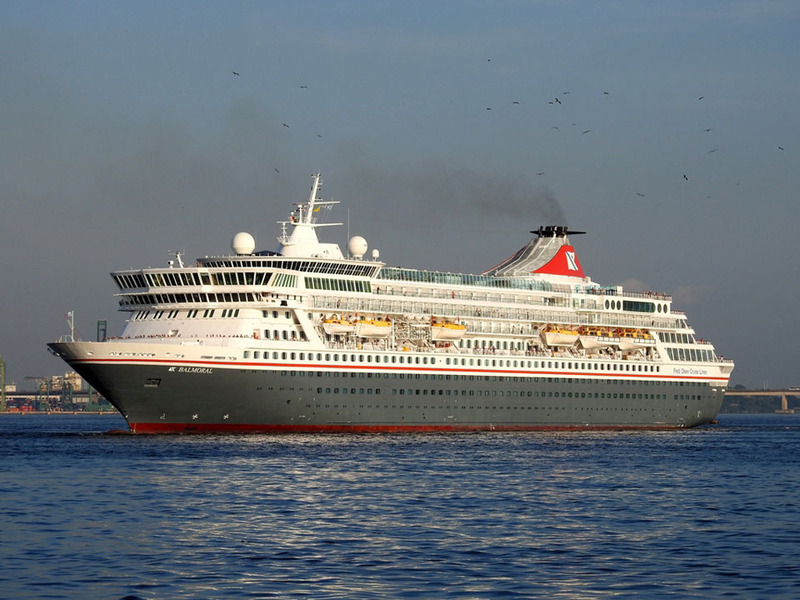 May 1996: Renamed NORWEGIAN CROWN for Norwegian Cruise Line, Nassau, Bahamas. May 2000: Service for Orient Line. 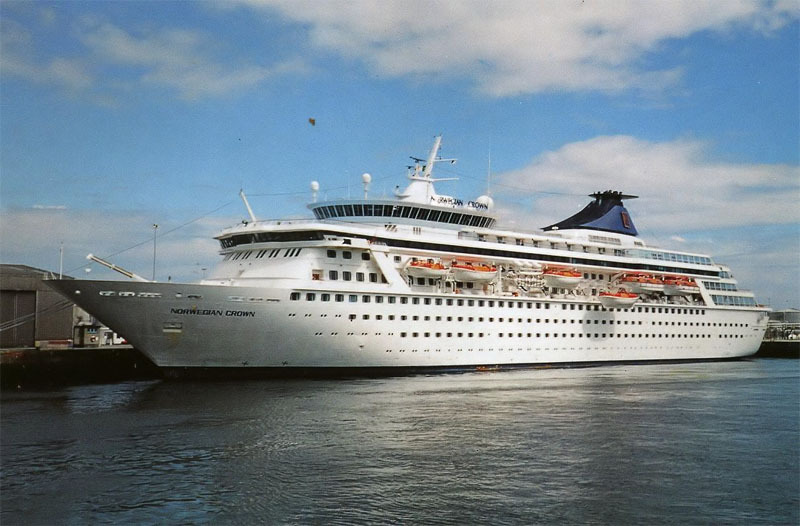 Renamed CROWN ODYSSEY. 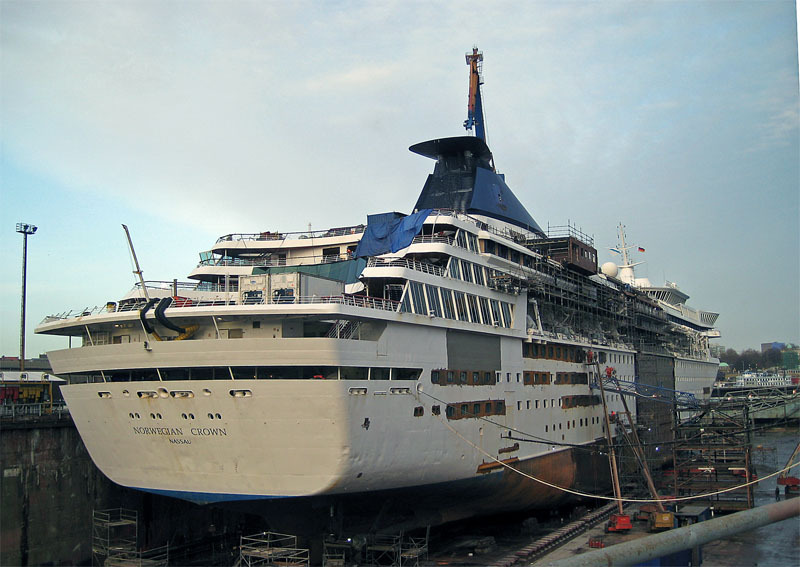 March 26th 2003: Renamed NORWEGIAN CROWN at Sembawang Shipyard, Singapore. 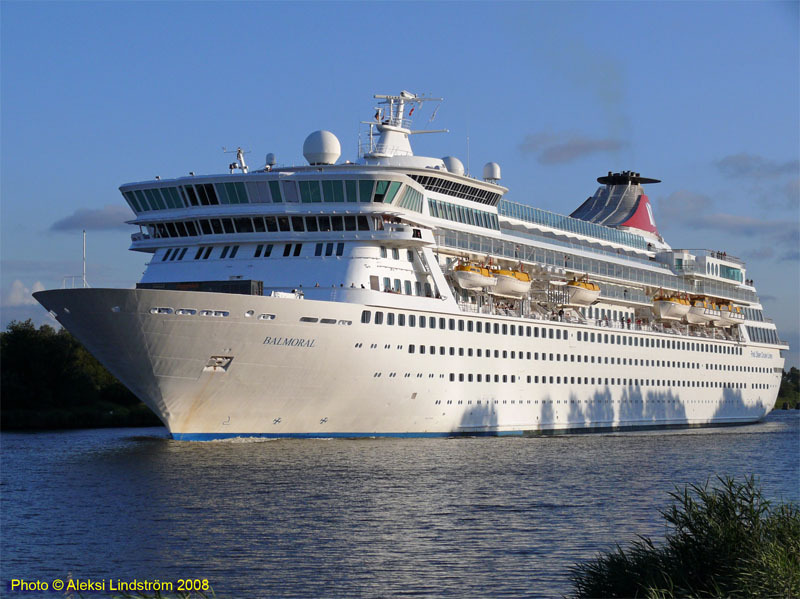 September 15th 2003: Inaugural cruise from Baltimore. 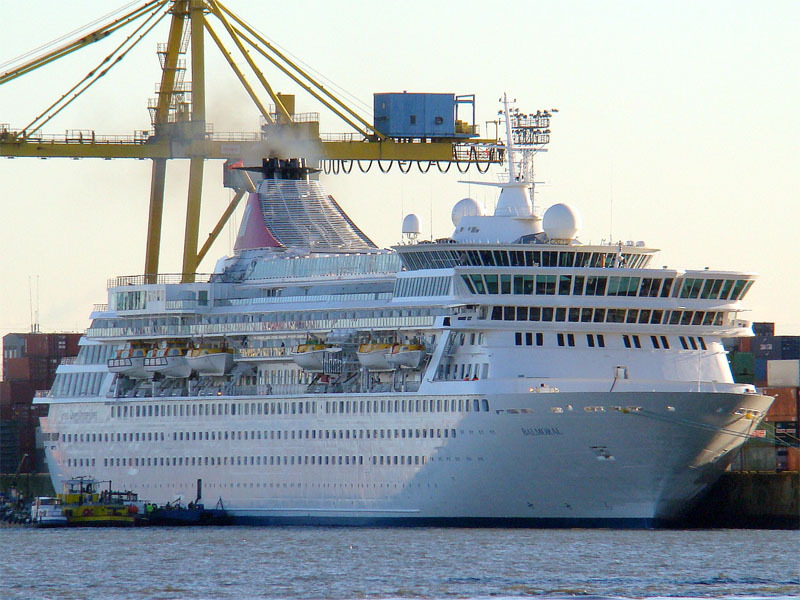 2004: Registered Owner; Crown Odyssey Ltd.
2004: Registered Owner; Norwegian Cruise Line Ltd.
May 26th 2006: Sold to Fred Olsen Cruise Line, for delivery in November 2007, but chartered back to Norwegian Cruise Line for completion of 2007 cruise season. 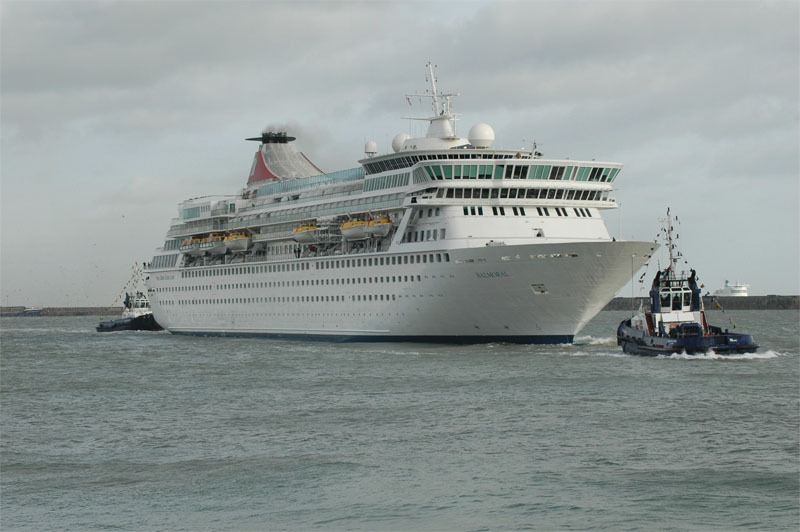 June 7th 2006: Grounded on a sandbar in Bermuda between Dockyard and Spanish Point, but was eventually freed by three tugs that evening. 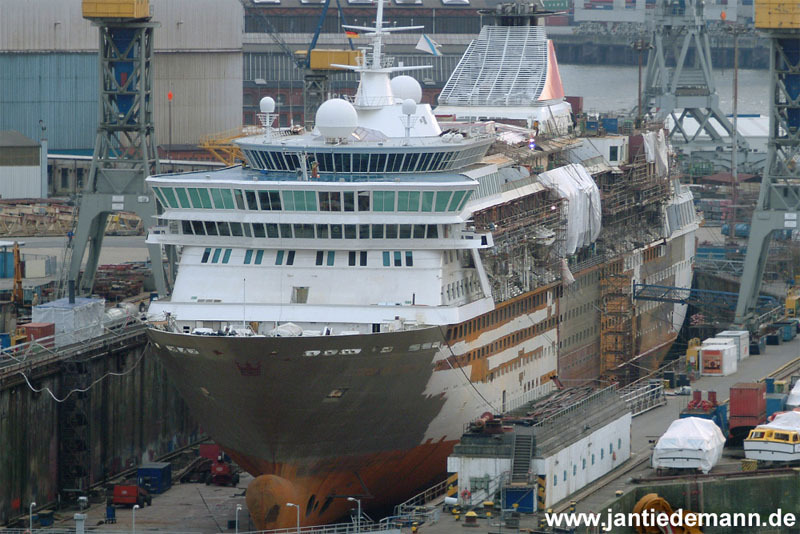 October 28th 2007: Last NCL cruise. November 5th 2007: Fred. Olsen took delivery in New York. November 14th 2007 (eve): Called at Dover. 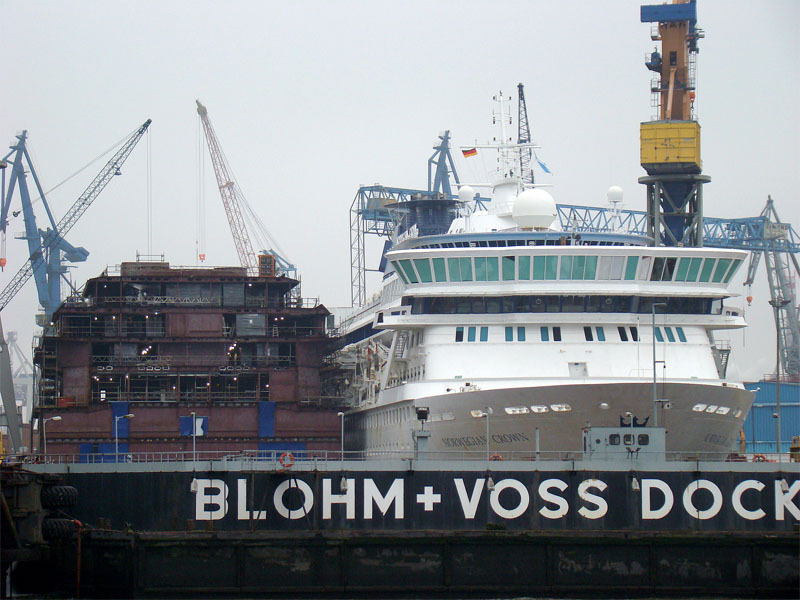 November 15th 2007: To Blohm & Voss Repair GmbH, in Hamburg for refurbishment and lengthening by insertion of 30m mid-section. January 23rd 2008: Anticipated inaugural arrival in Dover. 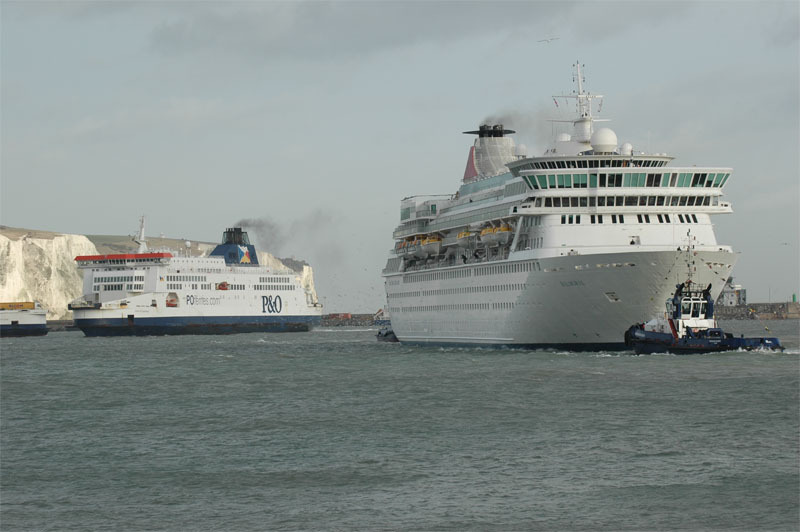 January 25th 2008: Inaugural arrival at Dover. 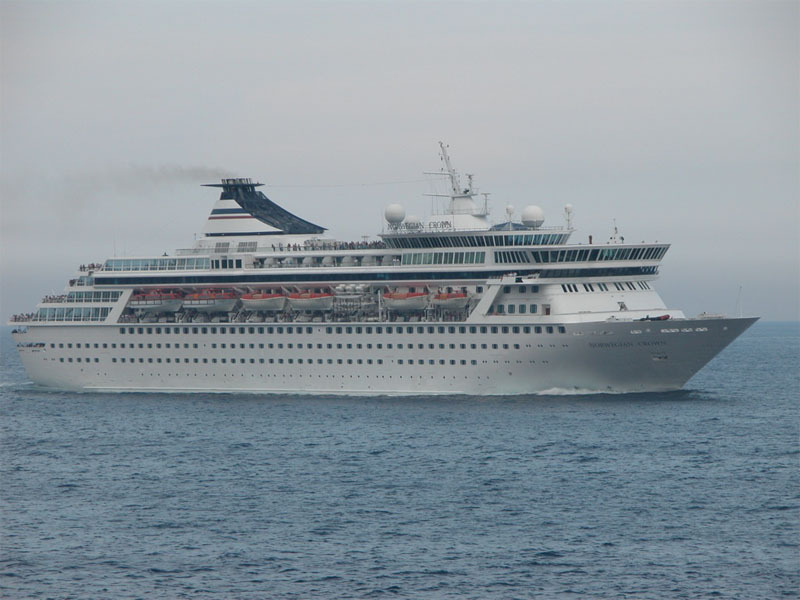 Her first cruise was a 14-night Canary Islands voyage. 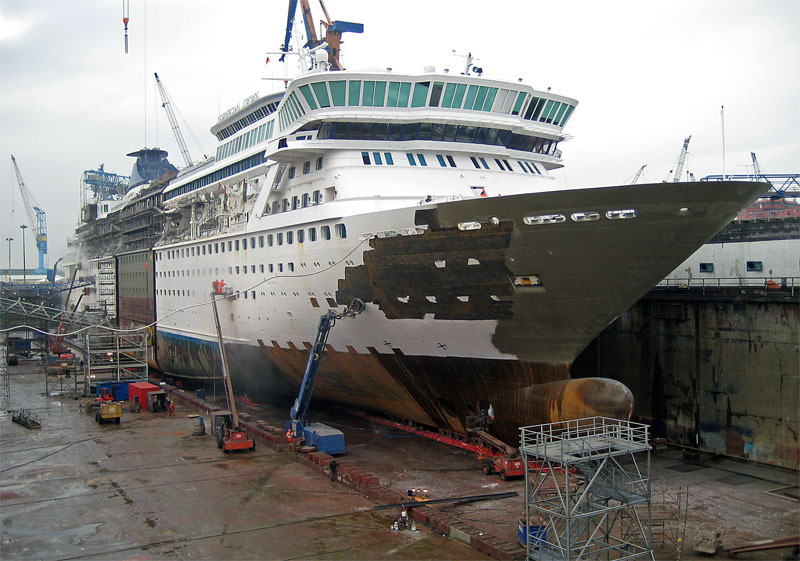 The ship then will then be repositioned to Miami, FL, becoming the first Fred. 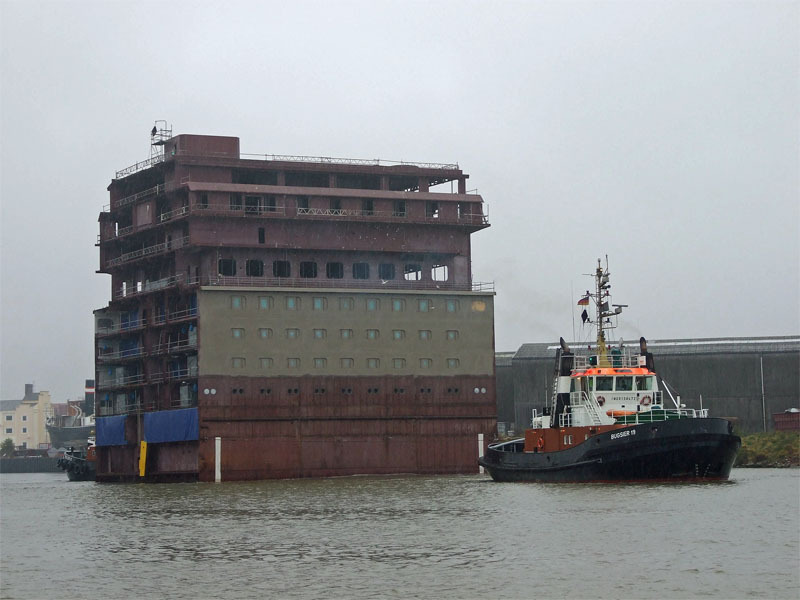 Olsen vessel home-ported in the US. 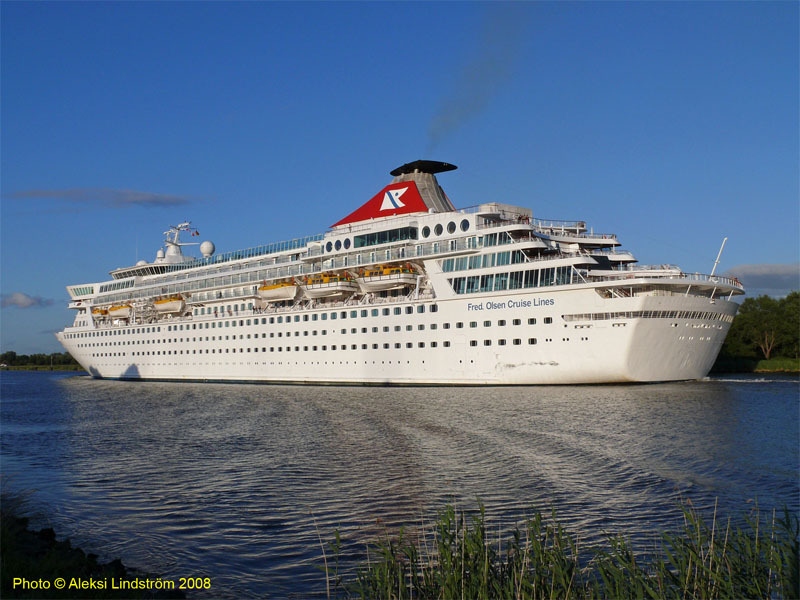 2008: Commenced cruising for Fred Olsen. 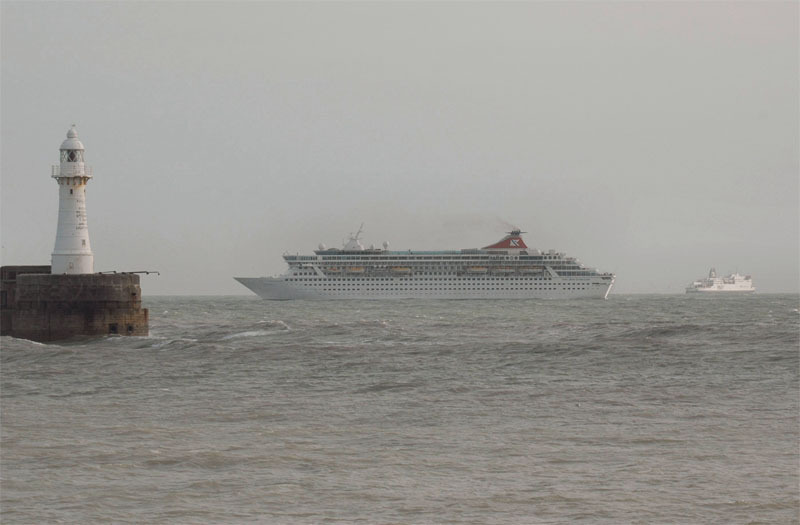 January 20th 2009: Two passengers were taken to hospital with broken bones after she was hit by 50ft waves in the Bay of Biscay. 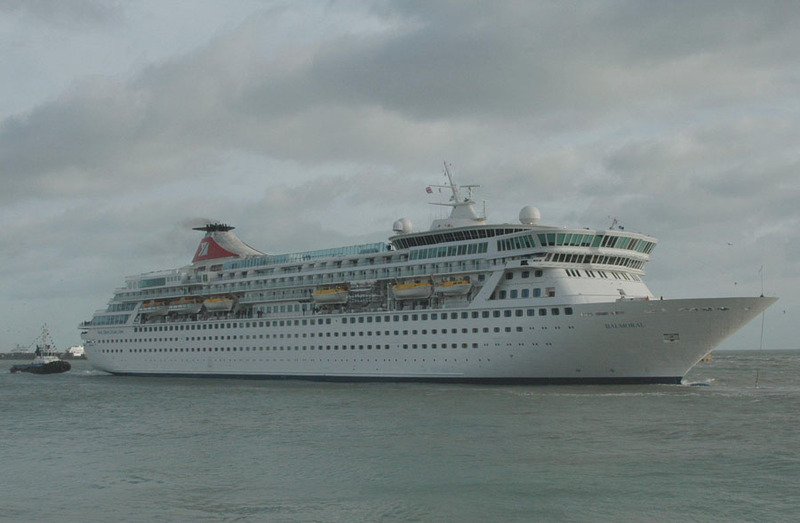 She docked in the Spanish port of La Coruna after setting sail from Dover on January 17th. 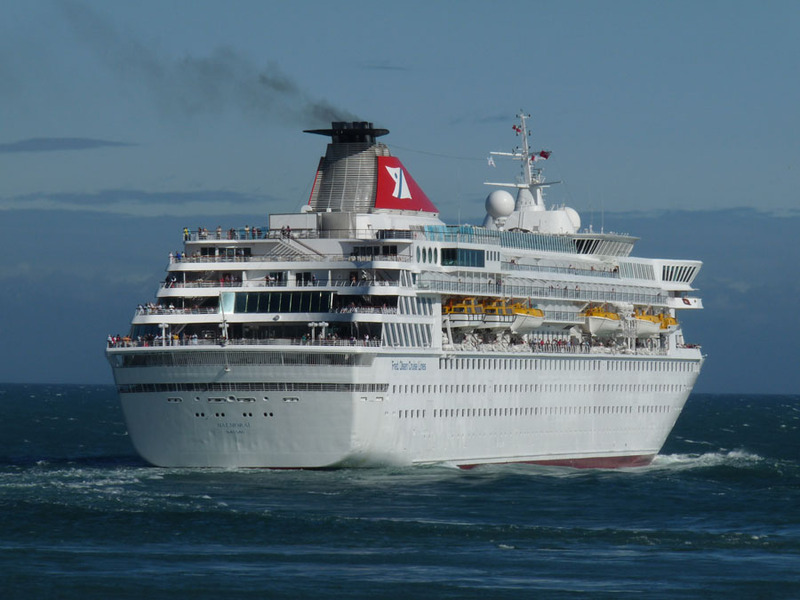 Her owners said the passengers were injured when they fell over as the ship endured rough seas and winds of 60mph. December 11th 2015: Received new livery. 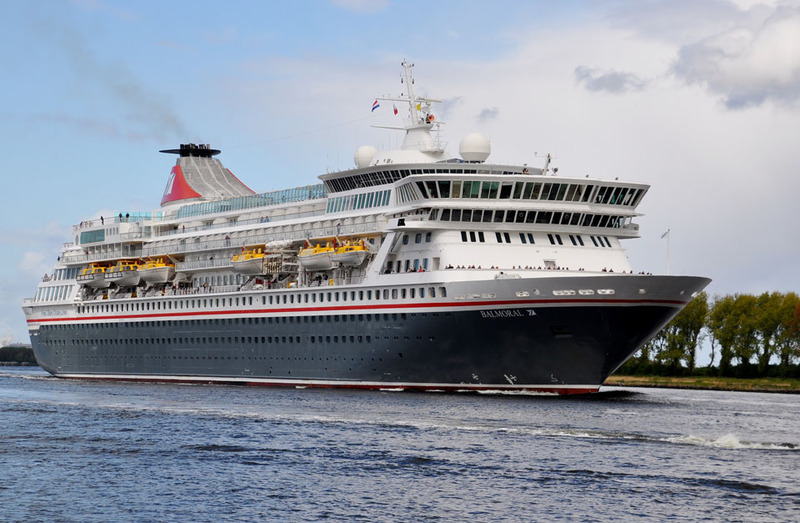 “Following a recent refurbishment at the Lloyd Werft shipyard in Bremerhaven, Germany, Fred Olsen Cruise Lines’ Boudicca has been given a new colour scheme and livery. 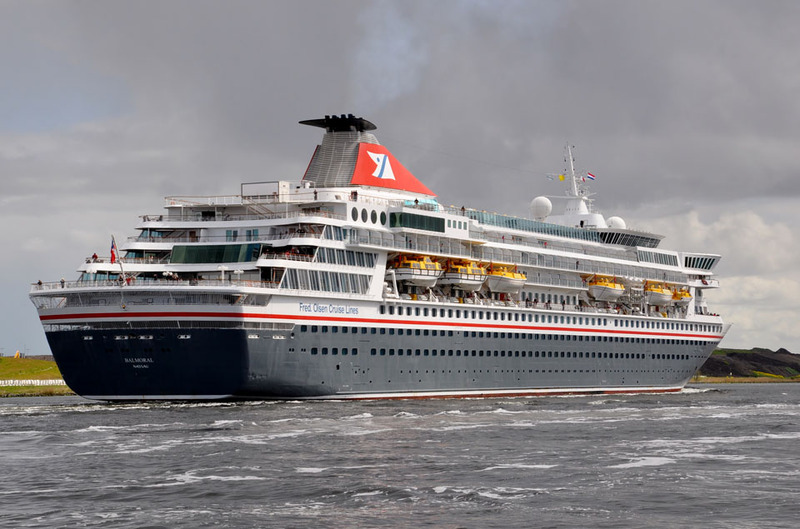 Boudicca is the first ship in the fleet to be given the new colours. 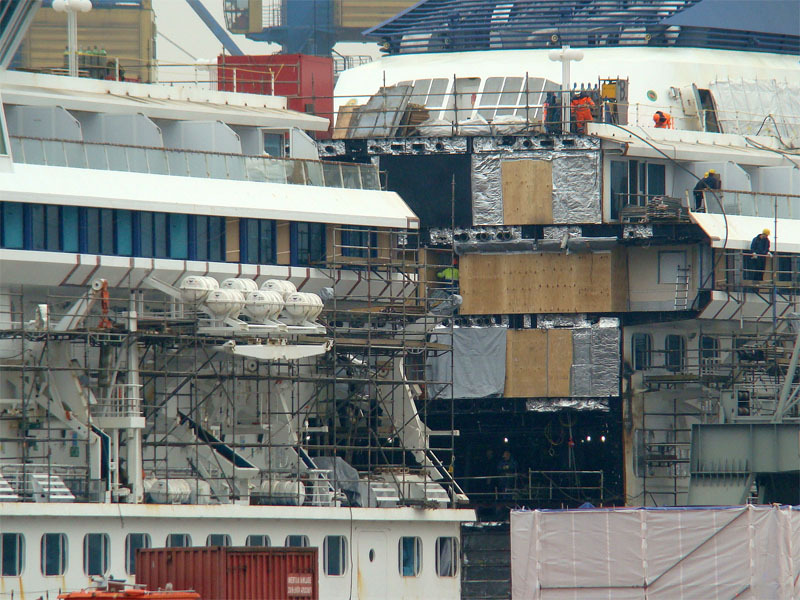 The previously white hull is now a dark grey, topped with a red line above. All information is believed to be correct and no responsibility is accepted for any errors or omissions found. All items included in this article are subject to © copyright. We would like to take this opportunity of thanking: Jens Boldt, Benoit Donne, Christian Eckardt, Brian Fisher, Robert Fournier, Jorodmon, Edson de Lima Lucas, Aleksi Lindström, Mikael Söderholm, Jan Tiedemann and Erwin Willemse for their assistance in compiling this feature.